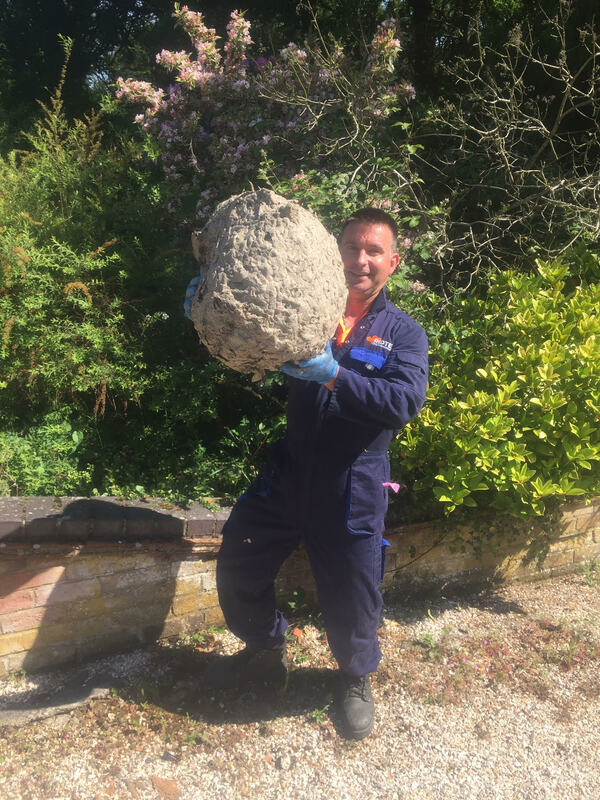 Because for Shane Jones, a professional pest controller, had no idea what was in store when he was called out to a house in Basingstoke, and it was a little bit worse than a few of those nasty creatures hovering above your pint of cider. As he filmed his journey to the attic of the property, he discovered something ‘unlike anything’ he’d ever seen in his career. In total, there were ten huge wasps nests up there, in what he describes as looking like a scene from the film Alien. I was very surprised but wasn’t scared. I deal with wasps all the time but there were a lot. The amazing thing about it was how big it was, I’ve never seen anything like that. Two of the nests were live, the rest were dead, there were thousands of dead wasps. 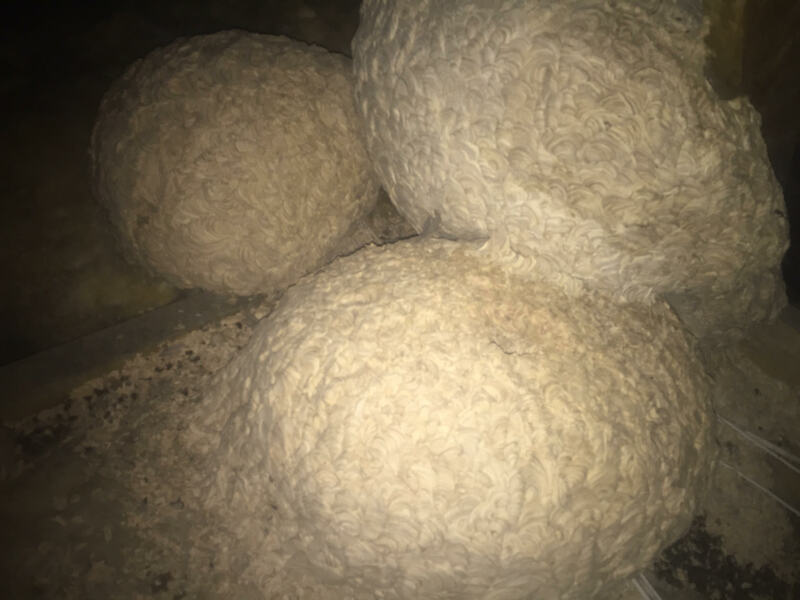 Shane, who is 48, started his family business RIDTEK Environmental four years ago, he said the nests were so large that only one was able to be ‘squeezed through the loft hatch’. The unoccupied house was in the process of being restored when a decorator contacted Shane about the nests. After they’d been removed the nests were taken away and destroyed – a job I certainly do not envy.